The mystery of why Donald Trump decided, midflight, to personally author his administration’s misleading response to the public disclosure that his son Donald Jr., Paul Manafort, and Jared Kushner attended a meeting with a cast of shady Russia-linked figures in Trump Tower remains a mother lode of the Russia investigation. His misdirection aside, the president has denied he knew about the meeting, its purpose, or that its participants were on a mission, and he’s declined to make himself available to Robert Mueller, the special counsel, to answer questions about it — or anything else related to Russia’s involvement in his electoral victory. Those criminal counts for bank fraud that jurors couldn’t agree on in his earlier federal trial? Mueller included them under “other acts” in a lengthy “statement of the offense” that lists all the ways Manafort ran afoul of federal law. Prosecutors spared no detail in the document, running through his decadelong lobbying campaign for Ukraine, which he kept hidden from the Department of Justice and netted him millions in unreported taxable income — and the ways he and associates tried to cover their tracks and not get caught in this grand scheme. 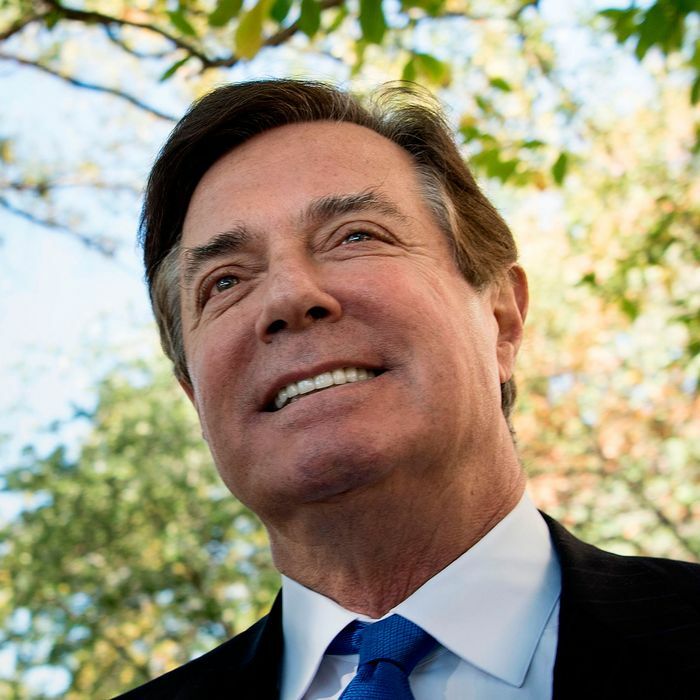 Plus, it details exactly how Manafort, even as he was on Mueller’s watch for all these offenses, attempted to obstruct justice by trying to get witnesses to his misdeeds to massage their stories about his undisclosed lobbying work. Which is why it would be foolish to try to guess how much time in federal prison Manafort is expected to spend under his new plea agreement. The document itself calls for a sentencing range on both conspiracy counts of up to 262 months — or 20-plus years in the worst-case scenario. The burden is now on him to drive down that number by appeasing Mueller’s team and giving prosecutors what they’re looking for — not on Trump or a target in particular, but any leads or crimes that investigators may already be chasing. The more he gives them, the more the government may be inclined to show mercy.